Getting a new puppy is an exciting adventure and gives you a best friend for life! Getting a Japanese Akita puppy is a life-changing experience that you won’t come across with any other breed! They are the national treasure of Japan and as we like to say, Akita once, Akita forever! To help you out with your new best friend, here is a brief overview of some things you should be aware of with your new best friend! 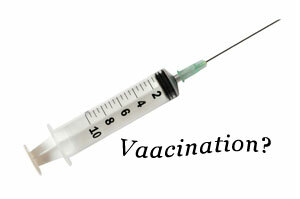 Your puppy will require a total of three vaccinations before they are fully protected against harmful diseases. Your furry friend would have already had their first vaccination at 6 - 8 weeks of age and is already microchipped. The next two will be done at 10 - 12 weeks and then the final one at 14 - 16 weeks, one week after final vaccination and only then will you be able to take your puppy out into the world. Until then only visits to puppy preschool, known houses where dogs defiantly vaccinated or vacant of dogs altogether would be acceptable. You don’t want to risk your pup while their immunity is still building. Fleas! These unwanted house guests like to hitch a ride on your poor pooch and cause lots of itching and allergenic reactions. You want to make sure you protect them from these little parasites by using a good flea treatment. A good one to use is Bravecto, not only does this cover Fleas for 3 months, it also covers Ticks for 4 months. Please be aware though, as your puppy is growing rapidly you will need to be careful that they do not outgrow their weight range for the product. It may be beneficial as they are growing to use a flea treatment that is monthly such as Comfortis or Nexguard. There are a few type of Ticks, so you are going to want to make sure you are covered for these, especially if you live in a Tick area, or if you take your pooch for a frolic in long grass or for a bush walk. Again, there are multiple ways of protecting against ticks, Bravecto protects against ticks for 4 months. Even with the best tick prevention on, you still need to check your dog for ticks if you do any of the above. Familiarize yourself with early signs of tick poisoning and know how to search for them and have a tick hook on hand. The paralysis tick is deadly, so be sure to protect your pooch and stay in the know. Worming is an important part of puppy care, worms can cause severe illness for a small puppy, so be sure to mark it on your calendar so as not to miss one! All dogs require protection from Hookworms, Whipworms, Roundworms, Tapeworms, and Heartworms. Puppies require regular dosing, every two weeks until 12 weeks of age, then once a month until 6 months. After that they can have a three-monthly dose, just make sure all the worms are covered! You have a few options products wise, depending on how you do Heartworm prevention. With Heartworm, you can ask your vet for the Proheart injection, which is a couple of injections as a puppy and then annually with their vaccinations. If you go for this option, then you can opt for an all wormer that does not cover Heartworms such as Milbemax or Drontal. Alternatively, there is Sentinal or Interceptor. These, along with a flea and tick prevention paired with it covers your puppy from nasty parasites.